TVNZ 1 was punished for its commitment to premium free-to-air drama on Tuesday when the premiere of the Bafta-winning National Treasure tanked in the overnight ratings. Is it any wonder programmers waited more than a year to schedule the four-drama, then opted to burn it off in two two-hour episodes under the guise of its “summer of drama” campaign? National Treasure’s fortunes will improve when consolidated ratings are factored in but as far as live TV goes, its failure is an indictment of modern viewing trends. The preponderance of quality drama on streaming services and Sky’s SoHo would have been a factor, along with live one day international cricket coverage spilling over into National Treasure’s first half-hour, but when given the choice, free-to-air viewers overwhelmingly opted for reality fare. National Treasure’s first hour averaged a shockingly low 1.7% of TVNZ 1’s target commercial audience, 25-54 year-olds, compared to 5.6% of Three’s repeat of Lost & Found and 2.7% for TVNZ 2’s premiere of Instant Hotel. At least the second hour maintained most of this viewership (1.5%) opposite 2’s What Really Happens in Bali (2.5%) and Three’s Beach Cops double-bill (3.3%). 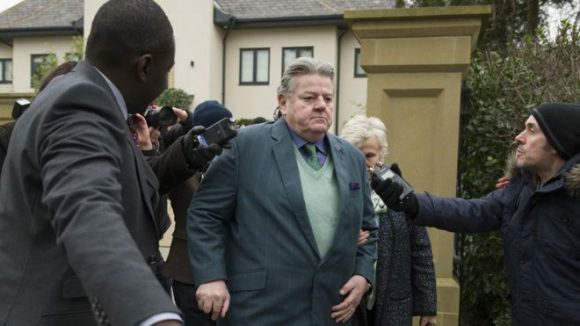 National Treasure had one of the night’s better lead-ins, The Celebrity Chase (3.7%), which lost to Three’s House Rules (4.6%) in the 25-54 demo but beat 2’s Family Food Fight (2.8%). At 7.00, Shortland Street ruled all the core commercial demographics, averaging 5.6% – 7.7%, although this was down sharply on its season premiere the previous night (6.8% – 9.7%). Three’s The Project again was comprehensively beaten by 1’s The Extreme Cake Makers, which averaged 3.8% of 25-54s versus the former’s 1.1%. It was a similar story at 6.00, when 1 News (6.7%) thrashed Newshub Live (4.3%). But it was Three that wound up winning the night in the 25-54 race, with a 21.2% share compared to 1’s 18.0% and 2’s 17.6%. Three also comfortably won the 18-49 demo while 2 was tops with 18-39s and household shoppers with kids. This should have aired a year ago, dare I say if (and for want of a better term) to capitalise when these stories were right in the headlines. PS. Great to have the ratings posts back (? ), Phil. Should of been set for Sunday night viewing …. Actually, around the middle of last year TVNZ 1 did have it slated for 9.30 Sundays.